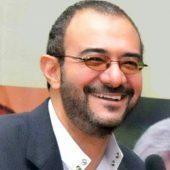 In honour of the life and work of Sheikh Zaki Badawi, OBE, KBE, and in recognition of his noted public contribution in championing the vital role of religious faith and values in the life of the nation, the Association for Muslim Social Scientists (AMSS) has established the annual Zaki Badawi Memorial Lecture. The lecture series is dedicated to Dr Badawi’s vision to foster pluralism, inter-faith dialogue, inter-cultural understanding, and social cohesion. In this, the inaugural Memorial Lecture, Dr Rowan D. Williams, 104th Archbishop of Canterbury, has contributed a subtle and profound address on the nature of pluralism which highlights some pressing contemporary challenges for faith communities. The translator’s notes introduce Dr. Williams and discuss his lecture as well as his position on the shariah (Islamic law) and its applicability in western societies.